This book is a really nice thriller and a bit different from other thrillers. When I read the cover it let me think of another detective thriller. But it is not another detective. It is about spying, MI6, CIA and all those sort of agencies. The book reads in a pace that gradually quickens towards the end of the book. Nearly every place that comes forward in this book, has a bit of action and is beautifully described. I rarely found a writing or grammar error (in Dutch). This really helps reading the book in a gradually accelerating pace. 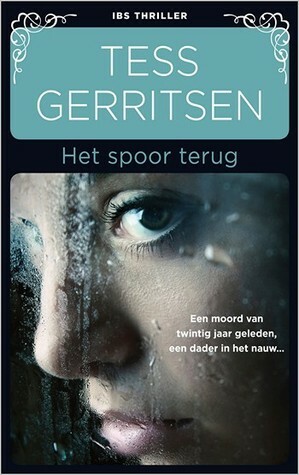 Tess Gerritsen uses not too many details. So you don’t get lost in the sentences and fact about what is really going on. The main character is a female, named Beryl Tavistock. She has a very strong character and this becomes clear at the beginning of the book. Together with her brother Jordan Tavistock she starts investigating the murder on her parents that happened twenty years earlier in Paris. The story is set in the year of 1993, the year that Beryl and Jordan by accident start with their investigation. Former CIA agent Richard Wolf helps them with their investigation. But do they find them trustworthy? Or does he know more about that time back in 1973. This really is a great book!